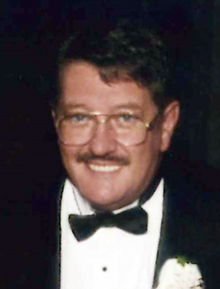 Charles "Zuff" T Zuffante Jr.
Zuffante, Charles T Jr. "Zuff" of East Boston passed away peacefully on April 8th. Beloved husband of the late Christine (Duca) Zuffante. Devoted father of Charles III of Hawaii, and Christopher and his wife Jeralyn of Winthrop. Dear brother of Susan Panzini of East Boston, and John Zuffante of Winthrop. Cherished grandfather of Christopher, Caroline, Catherine, and Charles. Family and Friends will honor Charles's life by gathering at the Ruggiero Family Memorial Home on Friday April 12th from 4:00PM to 8:00PM and again on Saturday morning at 8:00AM before leaving procession to Sacred Heart Church 45 Brooks Street East Boston for a funeral mass in celebration of Charles's life at 9:30AM. Late proprietor of Charlie Zuff's café. Late member of Bartolo's Athletic Club and the East Boston ITAM. In honoring Zuff's memory in lieu of flowers memorial donations can be made to East Boston Neighborhood Health Care Center c/o PACE program at Lewis Mall, 225 Sumner Street Boston MA 02128.